Cliff Barrows dedicated his life to sharing the love of Jesus Christ with the world. Known for his humility, his servant’s heart and his daily walk with Christ, Mr. Barrows was part of the Billy Graham Evangelistic Association since it was founded. Mr. Barrows served as music director for the Billy Graham Team, leading congregational singing and Crusade choirs around the world. “The Christian faith is a singing faith,” he said, “and a good way to express it and share it with others is in community singing.” As part of the original Billy Graham Team, he used music to share the Gospel around the globe, always alongside his close friends and ministry partners, Billy Graham and George Beverly “Bev” Shea. Mr. Barrows also hosted the weekly Hour of Decision radio program since its inception in 1950, later hosting Hour of Decision Online. 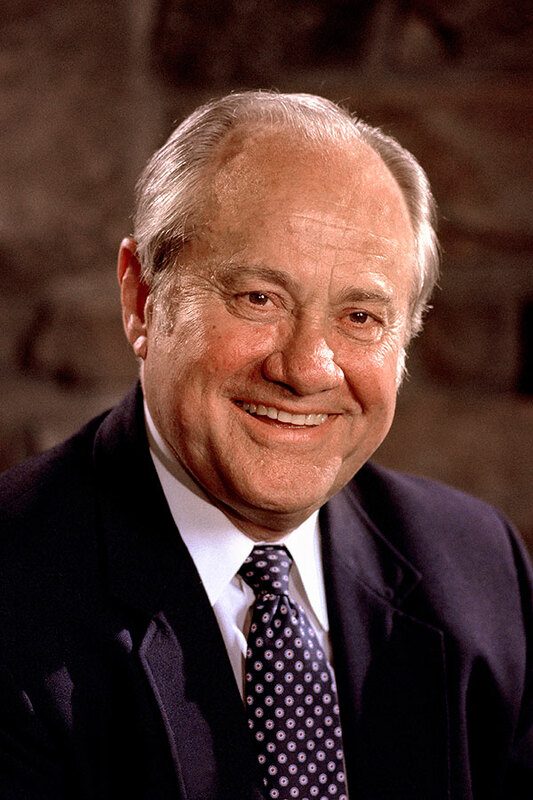 For significant contributions to Gospel music, Mr. Barrows was inducted into the Nashville Gospel Music Hall of Fame in April 1988 and into the Religious Broadcasting Hall of Fame (NRB) in February 1996. Mr. Barrows was born and reared in Ceres, California. He married Billie Newell in 1945 and they served the Lord together until her death in 1994. The couple had five children. Mr. Barrows later married Ann Prince, who was by his side until he went to be with the Lord on Nov. 15, 2016. 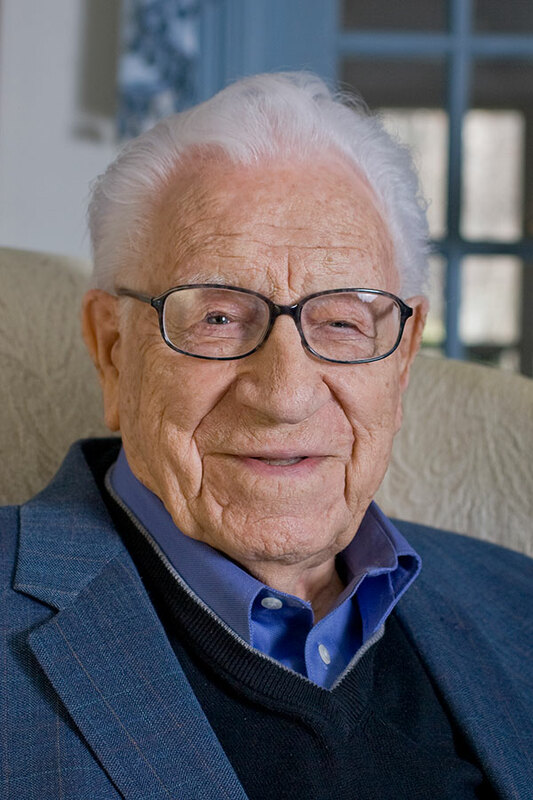 Since George Beverly Shea first sang for Billy Graham on the Chicago radio hymn program “Songs in the Night” in 1943, he carried the Gospel in song to six continents and every state in the U.S. He was the recipient of 10 Grammy nominations, one Grammy Award (1965), and is a member of the Gospel Music Association Hall of Fame (1978). As the musical mainstay in Mr. Graham’s Crusades, Mr. Shea was often called “America’s Beloved Gospel Singer.” He cannot be claimed by any one country, however—a Canadian by birth, he was a favorite of people in many nations. Born in Winchester, Ontario, February 1, 1909, where his father was a Wesleyan Methodist minister, Mr. Shea’s first public singing was in the choir of his father’s church. Later, he sang with the Houghton College Glee Club (Houghton, New York). He was married to Erma Scharfe for 42 years until her death in 1976. The couple had two children. Through the years, Mr. Shea was one of the busiest men on the Billy Graham Team. Between Crusade, radio, and television dates in many countries, he sang hundreds of concerts and recorded more than 70 albums of sacred music—including 15 CDs. Mr. Shea utilized all available media to share the Good News of Jesus Christ. Beginning in 1952, he was heard regularly on network radio, and later his bass baritone voice was transmitted on weekly shortwave programs around the world. For his significant contributions to Gospel music, he was inducted into the Religious Broadcasting Hall of Fame (NRB) in February 1996, and the Canadian Gospel Music Association presented him with a Lifetime Achievement Award in 2004. 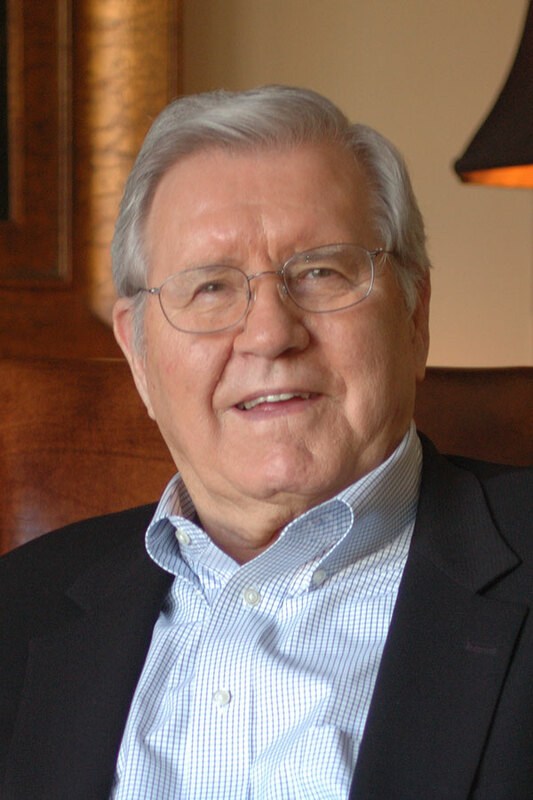 Along with Billy Graham and Cliff Barrows, Mr. Shea was inducted into The Conference of Southern Baptist Evangelists’ “Hall of Faith” in 2008. As a special honor, in 1998 North Carolina Public Television produced Mr. Shea’s life story, “The Wonder of it All,” titled after one of his most popular gospel songs. In 2011, Mr. Shea was awarded a Lifetime Achievement Grammy Award by The Recording Academy. Mr. Shea passed away in 2013 and is survived by his wife of 28 years, Karlene Aceto, whom he married in 1985. Grady Wilson was not only a gifted evangelist but a beloved lifelong friend of Billy Graham. He often served as Mr. Graham’s traveling companion and confidant, and Mr. Graham often said that he always felt comfortable with Mr. Wilson around. His sense of humor and steady stream of anecdotes were a delight to all and often a leveling influence on his teammates in tense situations. He began preaching evangelistic sermons around the age of 18 and preached with fervor, conviction and the goal of winning people to new life in Christ. He was associated with Mr. Graham in evangelistic ministry since 1947 and became an associate evangelist of the Billy Graham Evangelistic Association (BGEA) when it incorporated in 1950, conducting hundreds of evangelistic meetings both in the U.S. and abroad. He frequently traveled with Mr. Graham to other continents as a companion in ministry but never failed to participate in preaching the Gospel on these trips. He held Crusades in Britain, Africa, Central and South America, Asia, New Zealand, and Australia. He often preached in individual churches, conferences, and special meetings. He received many honors, including: D.D., Wayland College, Plainview, Texas, 1953; LL.D., William Jewell College, Liberty, Missouri, 1959; Litt.D., John Brown University, Arkansas, 1968; D. Sacred Theology, Southwestern Baptist University, Bolivar, Missouri, 1982; D.D., Campbellsville College, Campbellsville, Kentucky, 1984; and The Wilson Suite of the Billy Graham Center at Wheaton College dedicated jointly to Grady Wilson, T. W. Wilson, Jr. and George Wilson, 1986. He attended Central High School, Charlotte, North Carolina, and received a B.S. degree from Wheaton College, Illinois, in 1943. Mr. Wilson was born on August 28, 1919, to Thomas Walter Wilson, Sr. and Jessie Hooks Wilson. He married Wilma Jane Hardie, and they had two daughters. Mr. Wilson died in 1987. If Billy Graham had an “official traveling partner,” it was T. W. Wilson, his lifelong friend and associate. They traveled to six continents together for many years and logged more flying hours than many airline pilots. This travel took them to countries in every direction on the compass and back again. He became an executive assistant to Billy Graham in 1956 when he joined the Billy Graham Evangelistic Association. In this role, Mr. Wilson was a troubleshooter, diplomat, secretary, traveling companion and coordinator of a thousand details involving Mr. Graham’s ministry. Mr. Wilson made his home in Montreat, North Carolina, just about a mile down the mountain from Mr. Graham. When Mr. Graham headed out on another of his preaching Crusade tours, it was easy for him to stop by Mr. Wilson’s home to pick up his associate. According to Mr. Wilson, their traveling was “very interesting” and took them into the presence of kings and queens, as well as presidents and governors and famous people of many lands. “T,” as he was known by his many friends and other Billy Graham Team members, was born and raised close to the Graham dairy farm outside of Charlotte, North Carolina. He and “Billy Frank,” as Mr. Graham was known then, used to roam the woods together as most teenage boys like to do. 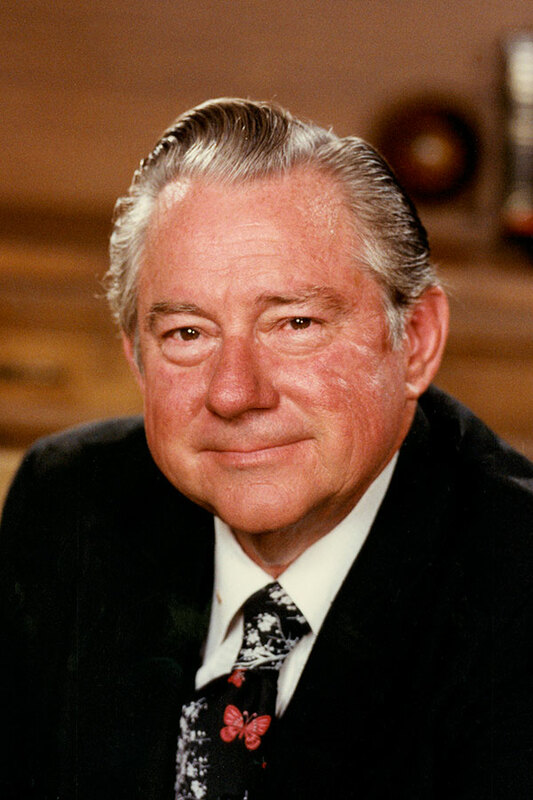 Mr. Wilson was an ordained Southern Baptist minister. He graduated from university in 1941 with an A.B. degree in religion followed by graduate work at the University of Alabama before entering the seminary. He served as pastor of Baptist churches in Alabama and Georgia before becoming vice president of Youth for Christ International with headquarters in Chicago. From 1948 through 1951, Mr. Wilson was vice president of Northwestern Schools in Minneapolis, while Billy Graham was president of the institution. Mr. Wilson, as an evangelist, preached throughout the United States and many foreign countries. He served as an evangelist under his own direction before becoming an associate evangelist with the Billy Graham Evangelistic Association in 1956. T.W. Wilson was married to Mary Helen Sellers and the couple had two children.